‘Learnings of an advertising practitioner’ is penned by A G Krishnamurthy, founder Chairman and Managing Director of Mudra Communications. This book is quiet engrossing and written in a simple language. Chapters in the book are sketched with dialogue between Vithal (the guru) and Vikram (the disciple). The book revolves around practical examples from an advertiser’s daily life, how general life inspires brilliant heart touching ad campaigns. It talks about the ideas and instance behind the making of classic ad campaigns like Vimal, Rasna, Surf’s Lalithaji campaign, Raymonds, Pepsi, Maggi Noodles, etc. 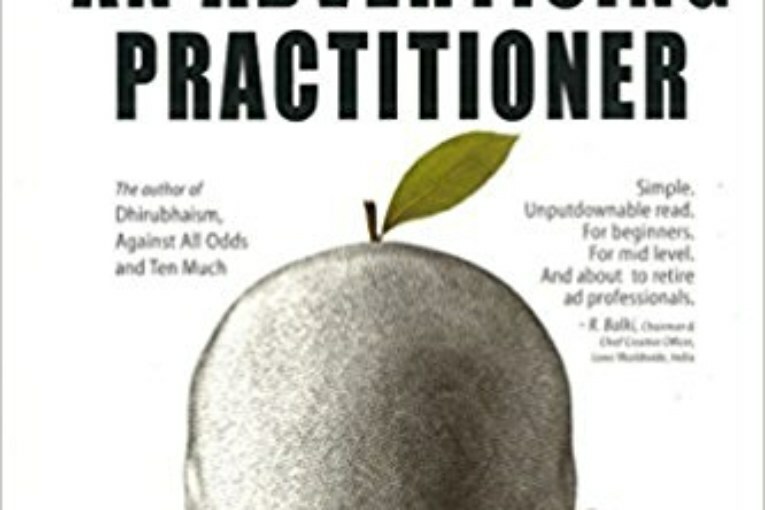 The book notifies that it is very important for an advertiser to be alert, because many a time great advertising ideas can be derived from studying the psychology of consumer and using common sense. This can be done by keeping your eye open when you are part of the crowd. Sometimes simple ideas can help you connect with your target audience, it always shouldn’t be out of the box. 20 chapters of the book, takes you through some basic rules to keep in mind during your advertising stint. It explains how India’s varied culture can be exploited to benefit of the brands. He explains, Ahmedabadis are known for ‘value-of-money’ wherein Hyderabadis have flashy lifestyle so ads can be customised accordingly. The writer also emphasis that advertisers should research, which is a rare trait in current advertisers. He urges to stimulate ads from consumer’s perspective. The book rightly puts that, an advertiser’s success doesn’t lie in ‘showcase’ i.e in bagging awards, but to make sure that he is giving the client good advertising ROI. He strains that the success of your advertisement only depends on people’s demand for product after seeing an ad. He leaves a message to all the brand custodians. He says that brand itself means identity of a product which is formed by continuity, so coming on board doesn’t mean changing its identity. He also gets the myth cleared of advertising not being all about attending Bollywood premiers and networking dos. To give real agency feel he has topped it up with more famous tussle between the creative department and client servicing team. 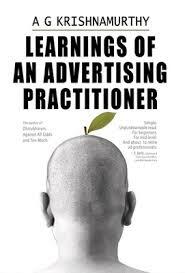 This book is a fun ride to the much misunderstood advertising world as well as for any communications practitioners.